← Advice Needed: Do I Change My Book Covers… or Don’t I? Series are a great thing for authors. You’ve created a fantastic lead – Kelsey – and if you can keep up the pace, I can see you working your way through several books about her. Keep up the good work… and I like the new web site. Series are indeed great, but you have taken on a very ambitious task. Think of it: it’s a series, so you’ve committed to writing not just one, but several novels. And combining two genres, thriller and fantasy, means you have twice as many conventions and rules to observe – or break. I know because I did the same thing. It’s exciting and scary at the same time. Terrifying actually. I try not to dwell on it too much! It’s hard to explain it to readers, but writers write ALL THE TIME. Some of our best writing happens when we aren’t actually writing 😉 I know this book will come together for you. Let the story write itself and forget about the pressures for now. I’ve often wondered how authors maintain their edge in long running series. Maybe that is why James Patterson has so many co-authors. Can you imagine having someone else co-author your series? I couldn’t even IMAGINE! I haven’t had the pleasure of reading book 2 yet, but book one had me sold on the series. You just made my day – thank you so much! I’m working on the last book in a series — YA Christmas Fantasy, a weird mixup — and I absolutely understand what you’re feeling. It’s difficult to keep going, and it’s difficult not to feel hurried by readers who want it NOW, or that you’re going to mess the story up. My advice, from experience, is this: don’t worry. Write your first draft, put what you want into the story, and leave revision for after you’re done. Discard all of those worries about having the book out, about what people will think, because they will drive you crazy, and you’ll lose sight of the story, and you don’t want that. If people already loved what you’ve written, then they will love the new story, and if they don’t, then they don’t; some people will dislike the story, but there’s nothing you can do about that, so focus on those who do love it — mainly, you. And remember: you can’t please everyone, so don’t even try. Do your best, edit what needs to be edited once you’re done, and leave the rest to the readers. Really great advice. I’m actually still stalled on Chapter 5 and while I keep going back and adding to the first five chapters, I need to move the story along but I worry what I’m doing isn’t going to work. You’re right – just write it and leave the revisions and rewrites for later. Get the story down. Thank you so much for commenting. When I read the title of your blog, I got excited, thinking now here is something I can understand. You’ve hit the nail on the head! 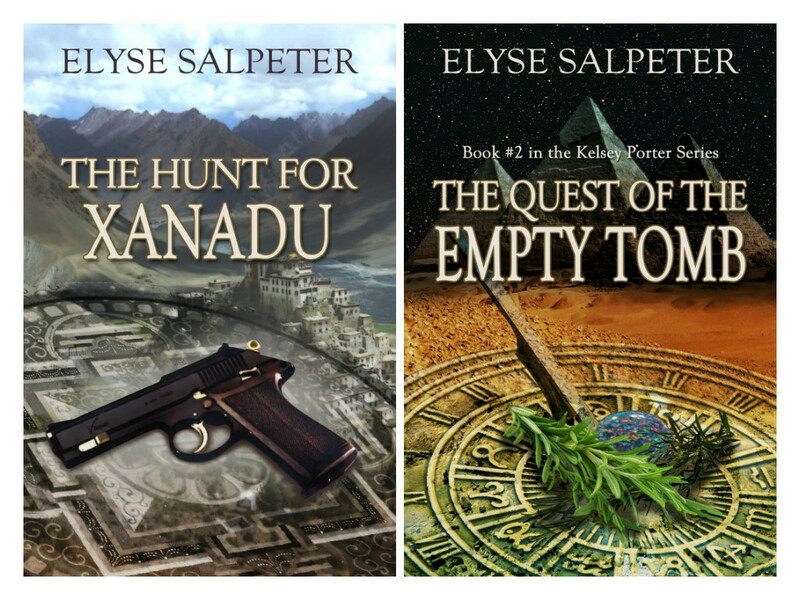 Having written two trilogies, one mystery and one sci-fantasy, I found that the third in each series put more weight on my shoulders. I loved traveling to Alaska to “do research” for the 3rd cruise mystery, incorporating actual pictures I took into the book. I couldn’t travel to Drako to “see” new locations for the sci-fantasy so I had to focus on something new. I had a baby dragon in book 2, so I chose to concentrate on adult dragons in the new story, imagine how they worked into the plot and helped save the world. That made it more fun for me and soon the book got even bigger that 1 or 2. The only trouble you will find is that readers won’t buy just book 2 or 3 without starting with book 1. This is understandable, even though I write concise descriptions of things leading up to the current action, but it makes the author feel they are slogging through mud to get to new readers. Your books are probably easier to read as stand alone books, so you might not face the same challenge. Good luck on finishing the new one. Thank you so much! I actually have this book taking place out west (in the US) and I so wish I knew the area. I tend to write about things I know little about, so I do so much researching and now I feel all this stress to get it right. Really appreciate you taking the time to read and comment – thank you. OH.MY.GOD. Talk about reading this at the wrong time. I am so weighted now with what’s going on with my ONE book release party and what goes along with that… it’s just crazy! I can’t even fathom any of this right now… or I should say, I don’t WANT to fathom it. You are one STRONG, SMART woman, though. If anyone is up to the task, I know it is you. Good luck, lady! Elyse, you always amaze me. I’m still struggling to finish my first novel, and meanwhile, you keep putting them out. You’ll get this done! And yes, you have *fans*! Congratulations. And those fans will be thrilled, and your fan base will grow! Thank you so much for your kind words, Monica – and you WILL get that novel done! A lot of what I get out are things I’ve had completed in one sense or another, so I’ve been spending time cleaning them up. So much to always do. Never enough hours, or for me, brainpower, in a day.